GenomeDx said today that its Decipher Classifier tests and Decipher Genomics Resource Information Database (GRID) will be used by Astellas to identify active-surveillance prostate cancer patients who may benefit from Xtandi (enzalutamide), the drug it co-markets with Medivation. The value of the collaboration was not disclosed. Astellas has agreed to provide GenomeDx with tumor samples from its Phase II ENACT trial (NCT02799475), designed to compare the time to prostate cancer progression between patients treated with enzalutamide versus patients undergoing active surveillance. GenomeDx has agreed to profile all samples, providing Astellas with an analysis of tumor aggressiveness based on its Decipher Classifier score, and a Decipher GRID profile. The profile is intended to assess the biological behavior of a patient's tumor based on a set of signatures that may be associated with enzalutamide response, GenomeDx said. Added Bruce Brown, M.D., senior medical director, oncology, Astellas: “The genomic data provided by GenomeDx will help us to better understand the molecular drivers of prostate cancer and how those drivers interact with response to enzalutamide,” said in a statement. Decipher GRID contains genomic profiles of thousands of tumors from patients with urological cancers, and according to GenomeDx is the largest shared genomic expression database in urologic cancer, as well as one of the world's largest global RNA expression databases using cloud-based analytics. Decipher Prostate Cancer Classifier tests are commercially available genomic tests derived from GRID that are designed to provide a genomic assessment of tumor aggressiveness for individual patients. 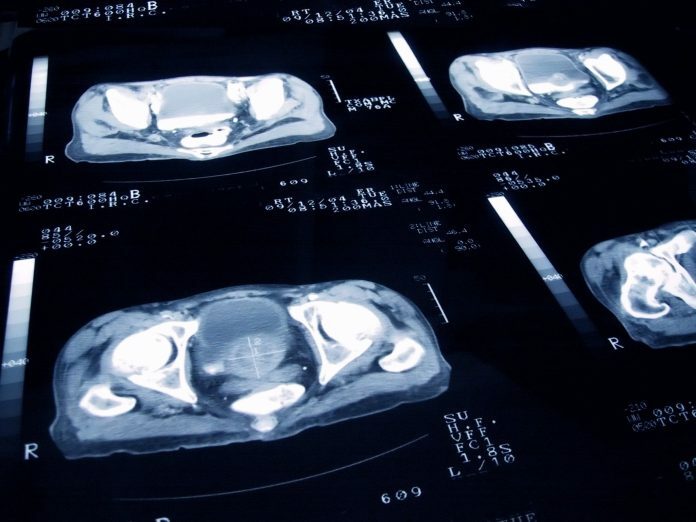 The tests include Decipher Biopsy, indicated for men with localized prostate cancer at diagnosis, and Decipher Post-Op, indicated for men after prostate removal surgery. Each tumor analyzed with a Decipher test adds new data to the GRID database. New data is then compiled into a Decipher GRID Profile that may reveal additional biological characteristics of each added tumor for ongoing research purposes. Genomex says Decipher and GRID are designed to makes accessible genetic information for researchers, in order to predict responses to therapy better and guide treatment more precisely.